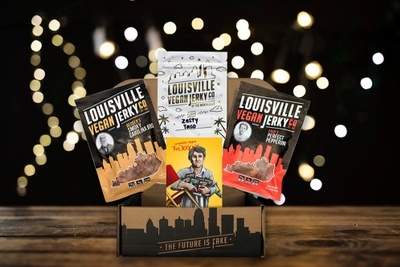 Enter your email address below to receive a notification when Louisville Vegan Jerky Of The Month Club starts accepting new sign-ups! 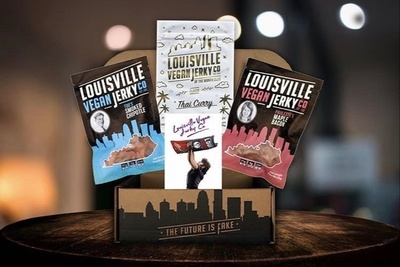 Enter your email address below to receive a notification when Louisville Vegan Jerky Of The Month Club is accepting new sign-ups again. Delicious vegan jerky delivered to your door every month! 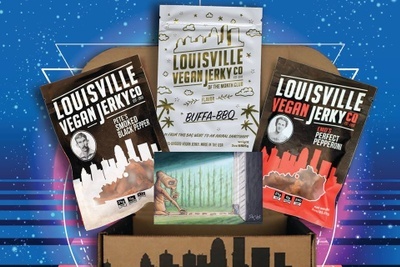 We ship our Jerky of the Month boxes out typically on the third Thursday of each Month. My boyfriend got me this as a gift & I can't wait for next month! The special flavor of the month (Breakfast Sage) was SO GOOD. I liked the other two flavors a lot as well. Hoping to see a new variety in next month just bc I know there are such limited flavors. Signed up because I just wanted to try it, now I'm absolutely hooked. Even my non-vegan/vegetarian friends loved it! I would recommend this box to anyone. Delicious! FAKE is the Future??? FAKE meat??? Delicious Jerky. I enjoyed all the Jerky I received in my boxes. I did not appreciate your marketing at all.